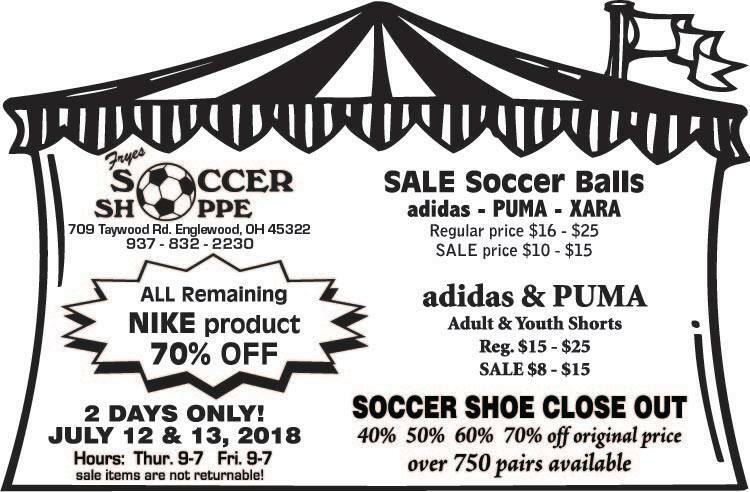 Hours shown above are for the 2018 tent sale only. See the About page for normal store hours. Fryes Soccer Shoppe is powered by Wordpress. Theme designed by Rahul Sarees.